Why did the miracle of the feeding point to Jesus as the Messiah? Start these healthy habits early and your kids will carry them into their later years. Reflection/Discussion Questions: If sharing is important to teach our kids, why do we, as adults, sometimes resist sharing? Go ahead, gather your family and friends together and give this song a listen. Reflection/Discussion Questions: What is one thing you hate to share? Why? How do you usually feel when someone shares something with you? How do you usually feel when you share something with someone else? Has anyone shared something with you this past week that you didn't expect? Happy Money offers a tour of research on the science of spending, explaining how you can get more happiness for your money. Authors Elizabeth Dunn and Michael Norton have outlined five principles—from choosing experiences over stuff to spending money on others—to guide not only individuals looking for financial security, but also companies seeking to create happier employees and provide “happier products” to their customers. Share your life with others, because your life can make an impact. We were created by God to share our lives with others. We were never meant to do life alone. In two separate studies, researchers found that people enjoyed an experience more when they had someone to share it with. Reflection/Discussion Questions: How did Jesus change the disciples' lives by sharing his life with them? How did Jesus change the world by sharing (giving up) his life for it? What lessons can we learn from the way Jesus shared his life with others? How can sharing our lives with others change someone’s life? How can sharing our lives with others change our lives? Share about someone who has changed your life by sharing their life with you. Take the challenge this week- thank the people who have supported you and impacted your life. Have you positively impacted someone else's life? Has anyone ever thanked you for impacting and changing their life? How did that make you feel? What are some fun ways to share your life with others? What lesson was Jesus trying to teach the disciples when he washed their feet? Share because you have more than enough. Reflection/Discussion Questions: What's one reason sharing what you have might sometimes be difficult? What are some things you have more than enough of that you could share with others? During this season of giving and sharing, do you have an idea of how you want to share with others? The history behind that centuries old mother dough and the company's philosophy about making bread. 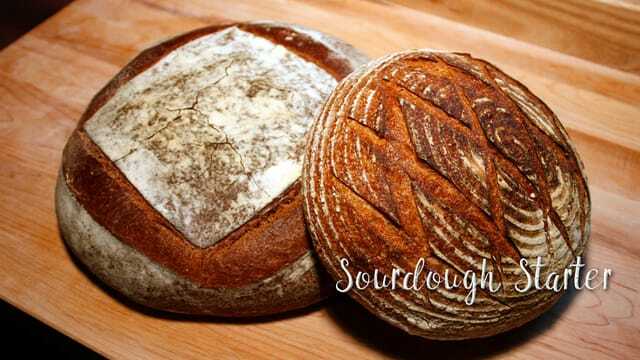 How far can a sourdough starter extend? Farther than you might think. Never made a starter before? If you're new to the whole baking thing, King Arthur Flour published an easy to follow guide to get you started. Sonja Lyubomirsky, professor and researcher at UC Riverside, explains how hedonic adaptation works and why our brains trick us into wanting more. Reflection/Discussion Questions: Our brains get used to things. This leaves us feeling like we don’t have enough. Have you ever had the thought that you didn’t have enough of something? (Time, $, things, energy, etc.) What was it in reference to? Have you recently invested in an experience? What was it? How do you feel when you think about that experience? Share your ideas because ideas lead to problem solving. Reflection/Discussion Questions: What’s the dumbest idea you’ve ever had? What’s about the best? Has someone ever shared an idea that you thought was amazing? What was the idea? How does it feel to see one of your ideas become a reality? On a scale of 1-10, how much do you believe your ideas can change the world? Why do you think Jesus let His followers solve problems with Him, instead of solving them all Himself? Share an idea you have that you think could help others during this season of giving. (Coming up- Christmas Shoppe, Angel Tree) What can you or your growth group do to help turn some of those ideas into things? StoneBridge provides dinner at the Samaritan Center the fourth Wednesday of every month. Opportunities are available to provide food, serve, and/or clean up. Dinner is from 5-6pm. If you are unavailable on the 28th dishes can be made in advance and dropped off. You can also contribute by donating gift cards for Smart &amp; Final. Contact Scott Regier at 805-583-3984 to sign up or if you need more information. Who will win our Toy Drive Competition? Will it be the 5:30pm Saturday night service, or Sunday at 9:00am or 10:30am? Who will bring in the most toys for Christmas Shoppe?! Bring in your new, unwrapped toy this weekend and then come back December 1st or 2nd to find out who won! Winning service gets bragging rights (of course!) and donuts! While no substitute for worshiping God with others, if you happen to miss a message you can always catch us on YouTube. We invite you to subscribe to our channel.